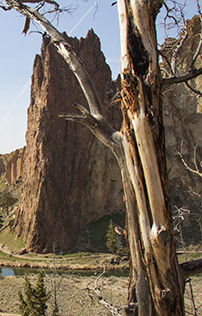 Did you know that there are some trees that can live to be over 5,000 years old? While the trees in your yard won’t live that long, if they’re well maintained, they can live for 50 years or even longer! Unfortunately, many trees become diseased, rotted, or damaged before they can reach their full potential. 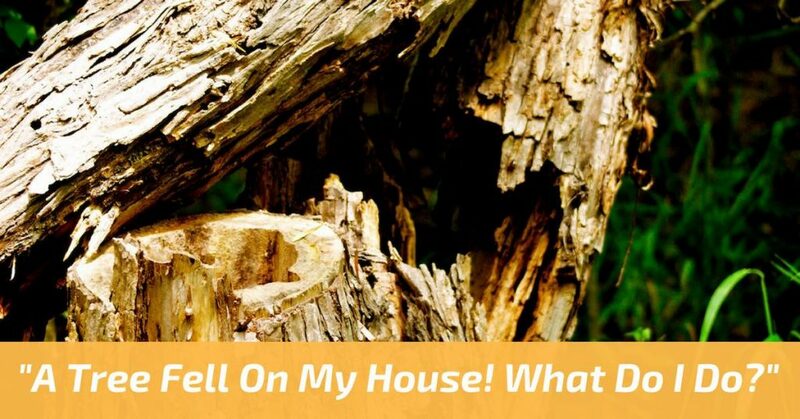 Today we’ll talk about some of the most common causes of tree problems and diseases as well as signs that your tree might be unhealthy and in need of help. 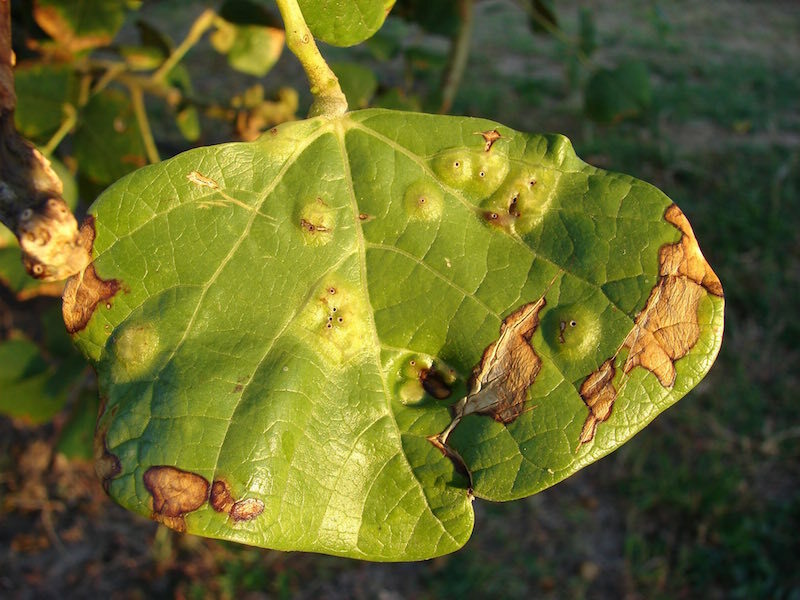 Anthracnose – A fungal infection that attacks leaves, flowers, and fruits. You’ll often see this on dogwood trees. 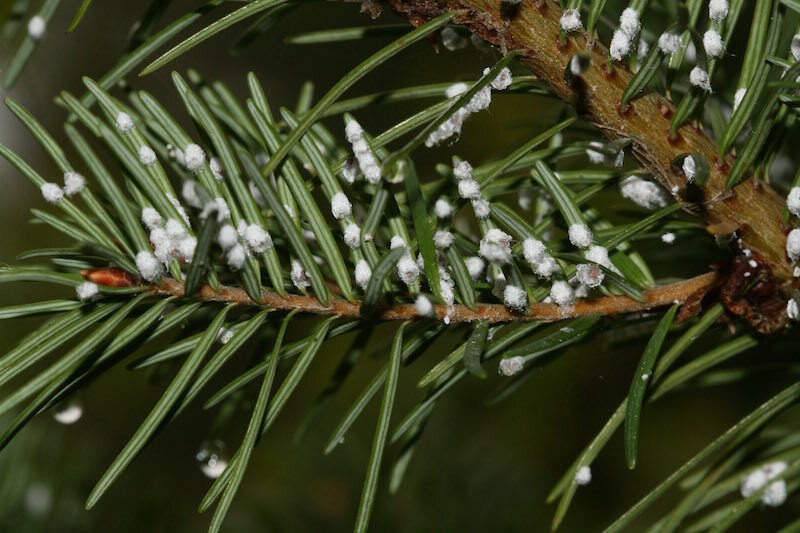 Dothistroma – Another fungal infection that can kill younger pine trees. 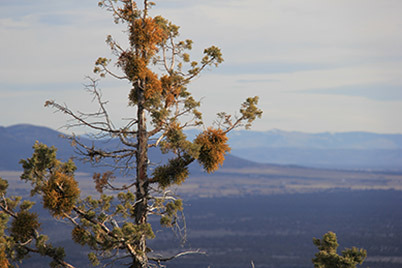 This infection causes a pine tree’s needles to fall off, preventing the tree from creating the energy it needs to grow. Leaf Blight – Actually a variety of related ailments, leaf blight can damage a tree’s canopy, over time weakening and killing the entire tree. In a way, trees are just like people. As they age, they become more susceptible to some diseases and ailments. The branches of older trees may weaken due to an accumulation of small cracks and breaks. Depending on the weather, older trees may dry out and become brittle and unhealthy. Heavy construction machinery can compress soil and damage a tree’s root system. 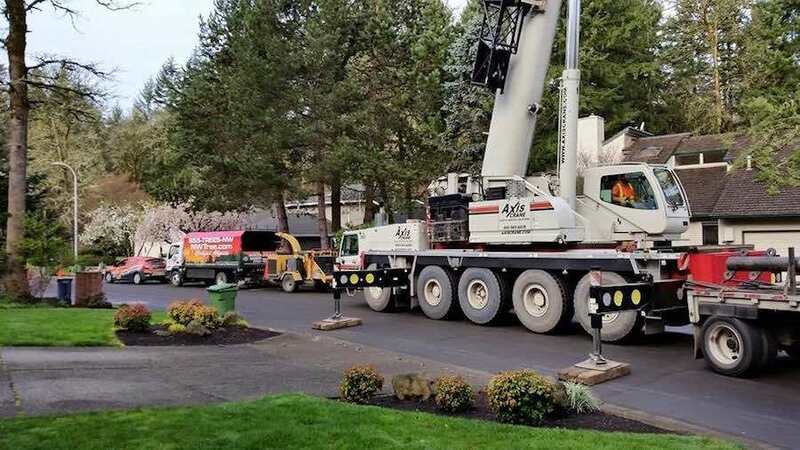 It’s important to remember that a tree’s roots extend far from its base (in some cases 30 feet or more), making it important to stay well away from trees during construction. In addition, careless use of construction equipment can rip off a tree’s leaves and branches or cause damage to the trunk itself. So be careful when you’re doing any work in your yard! Trees need our help to stay healthy! If you don’t take good care of your trees, they’re more likely to suffer from disease, damage, and other common tree problems. Luckily, most trees don’t require much maintenance. They only require regular trimmings and inspections to make sure the bark, roots, branches, and trunk are healthy and stable. 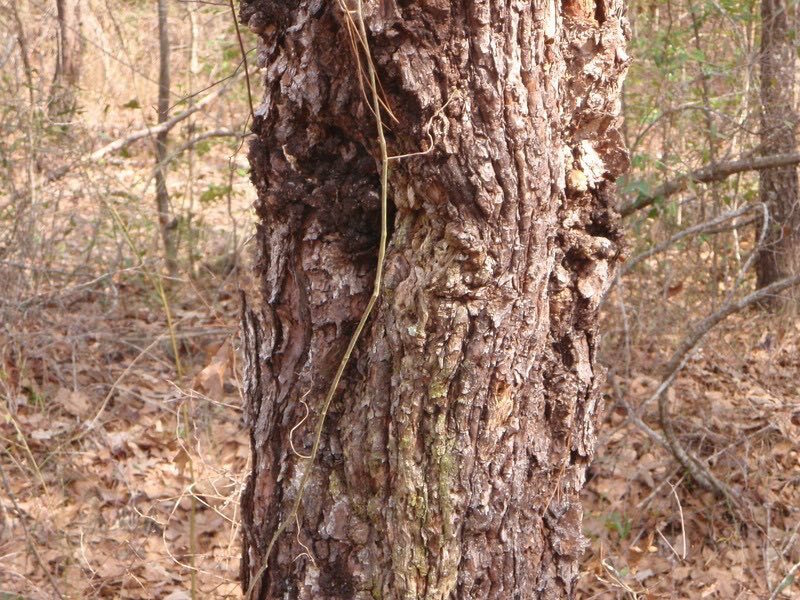 While some tree problems are tough to spot, there are some telltale signs you can be on the lookout for. If a tree’s leaves suddenly change from green to yellow, or if leaves become splotchy or have a “banded” appearance, that could be a sign of fungal infection or disease. Or if a tree’s leaves or needles begin to fall off out of season, that’s another warning sign. Bulbous growths or swollen areas in a tree’s trunk can be caused by bacteria growth. 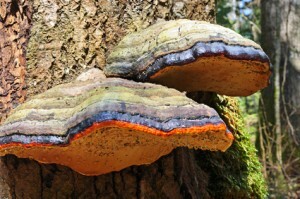 Fungus growing from a tree’s trunk or branches can also be signs of an unhealthy tree. These growths are often signs that your tree isn’t getting the nutrients it needs to grow normally. Leaves that look “chewed” or bitten – Beetles and some caterpillars feed on tree leaves. Too much damage to too many leaves can prevent your trees from getting the sunlight and nutrients they need. Leaves with unusual colors – Aphids, leaf hoppers, and other insects can damage leaves, causing them to turn yellow or develop a “speckled” appearance. 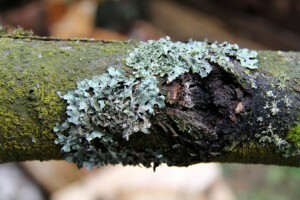 Moldy bark – Aphids, lacebugs, and other insects excrete substances that can cause mold to grow on your trees, potentially causing long term damage. There are just so many benefits to having trees in your yard: they’re beautiful, can make you happier, and even make your property more valuable! You should think of your trees as an investment that needs your attention to keep paying off. With just a bit of care and attention, you’ll be able to enjoy your trees for decades to come! If you’re seeing evidence of these common tree problems and diseases, don’t worry. And if you’re at all worried about the health of your trees, don’t worry. 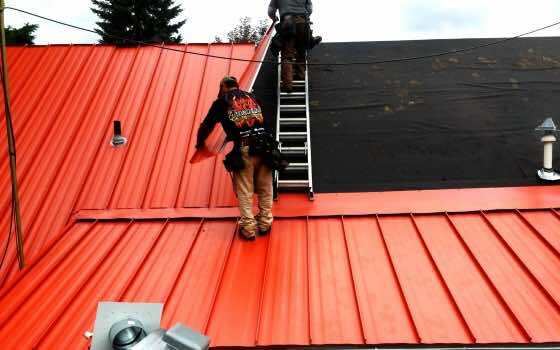 Contact NW Arbor Culture online or call us at (503) 538-8733 for a free consultation and estimation. We’re happy to come out, take a look at your trees, and let you know our expert opinion. 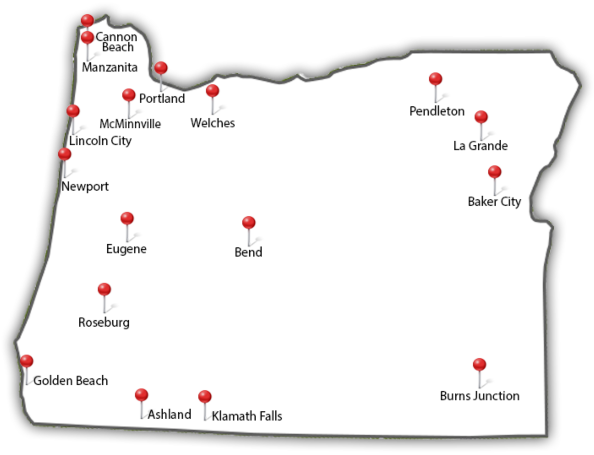 We have over 30 years of experience caring for trees in the Portland area and know how to make sure your tree lives a long, healthy life. Trees are a very fascinating and strong organisms in many respects. They can withstand hurricane force winds, freezing temperatures, and even prolonged drought. Yet a tree can be greatly affected by even the slightest change. You can read our previous post, Why Is My Tree Dying?, to learn about how overwatering, improper transplanting, and even slight changes in the soil can injure and even kill a tree. 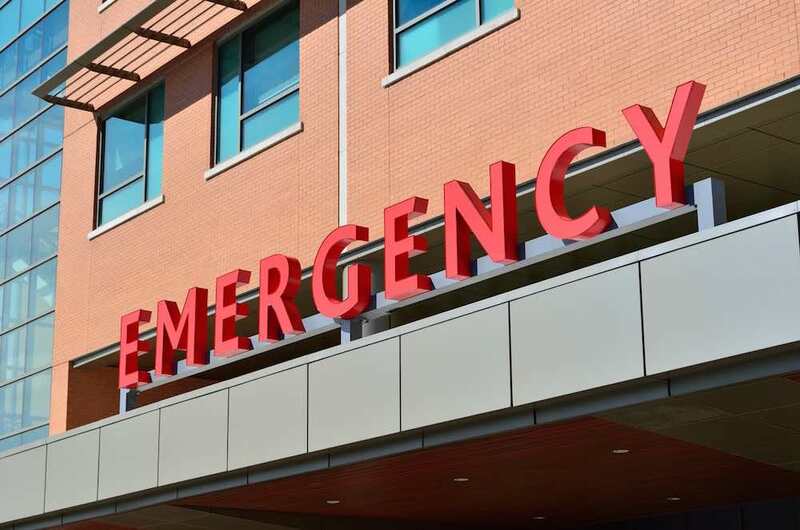 When a tree is affected by certain ailments and is in close proximity to cars, property, and people, it can become a serious hazard. 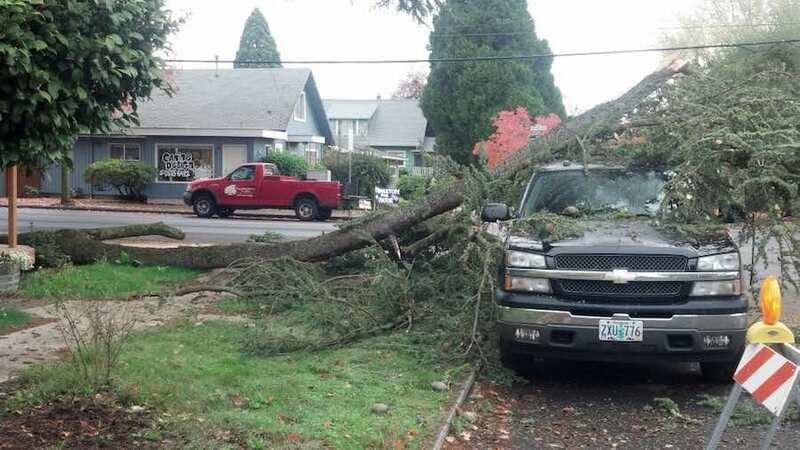 Keep reading to learn some of the most common tree hazards to look out for, as well as what you can do to help protect yourself and your property from tree damage. First, let’s learn what defines a hazardous tree. The USDA Forest Service defines a “hazard tree” as “a tree with structural defects likely to cause failure of all or part of the tree.” But a tree does not truly become a hazard until it threatens the safety of a person, property, roadway, or location where people gather like a park, pathway, or backyard. If a tree is located in a forest or habitat preserve, it is natural for a tree to slowly degrade and eventually fall. It is when a tree is posing an immediate threat to people, property, or public spaces that it should be considered a ‘hazard tree’ and dealt with appropriately. There are several common warning signs for a hazard tree. While some are easier to spot than others, it is likely that a hazard tree will show one or more of the following signs. 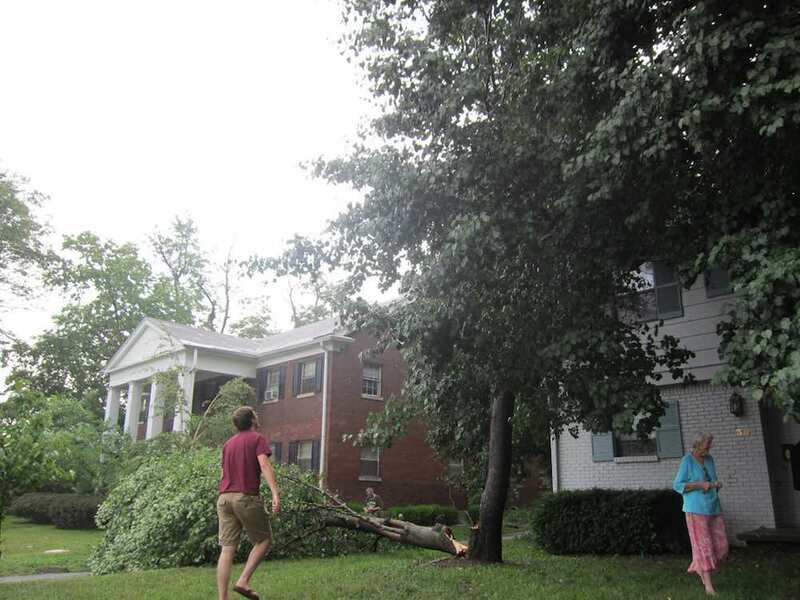 Dead branches and sections of a tree are hazards that should be dealt with promptly. Dead wood can be dislodged by wind, animals, or just fall unexpectedly and cause extensive harm to whatever it falls upon. When a dead branch separates from the tree but is caught in the canopy, it is often called a “widowmaker.” These are at a very high risk to fall unexpectedly on something or someone. Dead branches should be trimmed or removed as soon as possible to prevent any damage from falling. Some species of trees, like Douglas Fir, develop cracks naturally. But usually when you notice cracks or split wood on your tree, it may be a sign of failing tree health. 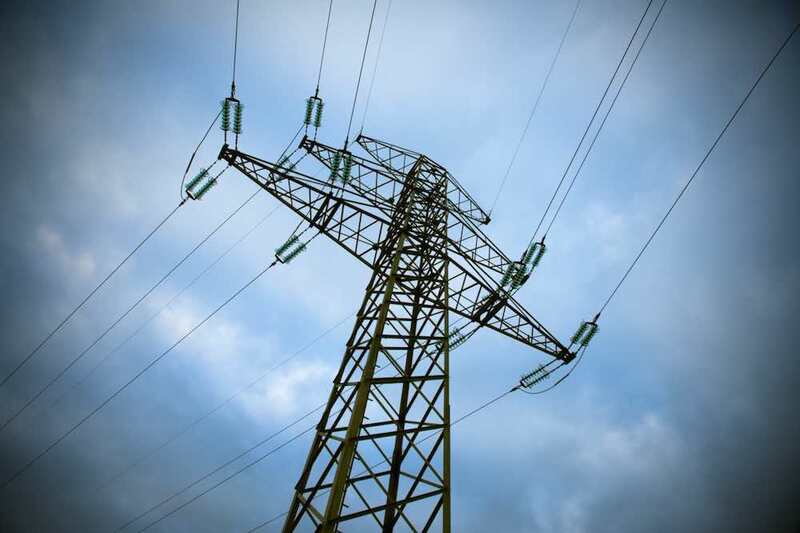 Depending upon how large the tree and how serious the crack, cabling may be an option, or you may be forced to remove the entire tree. Especially if the crack extends deep within or completely through the trunk. A weak branch connection can occur naturally or due to improper pruning. You can identify a weak union when there is bark that is growing into and between to connected branches. This is especially hazardous if the weak union is between two main branches or is leading to cracking between the two affected branches. Sometimes trees can experience small amounts of rot and decay and still remain healthy and strong. However, when you notice that the tree is beginning to feel spongy, crumbly, or growing a cavity, you may need to remove the tree. 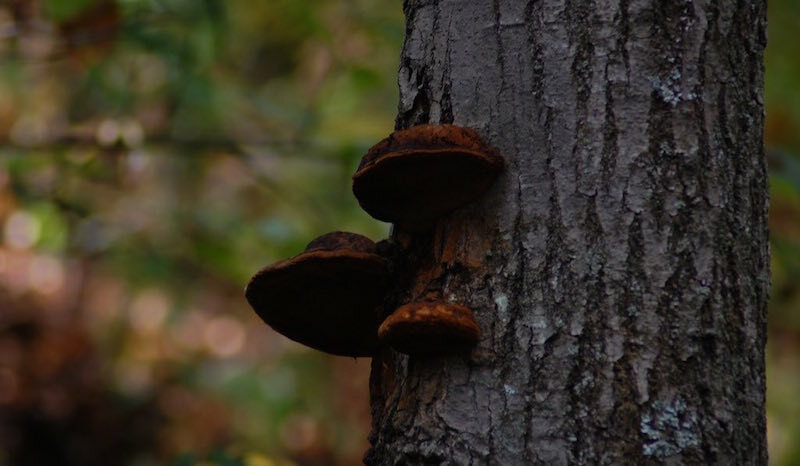 Other signs of tree decay are mushrooms or brackets growing on the trunk, flare, or exposed roots of a tree. Cankers are open sores or dead tissues on the outside of a tree. While the presence of cankers may not spell the end for your tree, if a canker grows large enough that it affects “more than half of the tree’s circumference” or is connected with a crack or cavity, you should thoroughly inspect your tree. While it may be difficult to detect root problems that are located underground, there are certain activities that can be closely related with root damages in a tree. Severing roots when installing irrigation lines or sewers can greatly decrease a tree’s stability and even lead to tree death. Paving concrete over tree roots can cut off oxygen and nutrient supply and in turn affect the tree’s roots and overall stability. 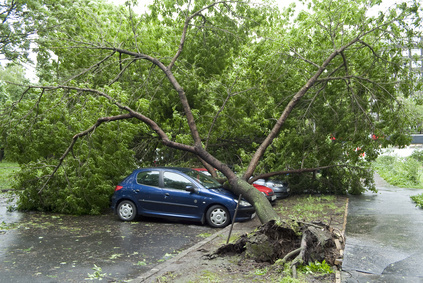 Parking vehicles or equipment on tree roots can compact soil and injure roots. Also, simply changing to the soil grade more that 2-3 inches can injure tree roots. Generally when a tree becomes unstable, you can notice mounds or bulging in the soil at the base of tree indicating the displacement of soil caused by the leaning of a tree. This is an important indicator that your tree needs corrective help or removal soon. So what corrective actions can you take to secure or save a tree that may be at risk of failing? Tree pruning and removing any problem sections or branches can easily eliminate the problem, especially when the rest of the tree is sound. Move the property at risk. If the vehicle, structure, or property can be easily moved from the area in danger, you can ensure its safety without removing the tree. Cabling or bracing a tree won’t fix the tree’s health issues, but may extend the life of a tree. Cabling a tree involves adding a steel or synthetic cable that actually wraps around a tree and its branches, securing them together and providing a failsafe in case part of that tree fails. A brace is used when a tree is split or cracking. You brace a tree by actually drilling a hole through the entire width of the affected area, inserting a steel rod, and syncing up the tree on both ends of the rod to clamp the two separate pieces together. Cabling and bracing are very complicated and difficult techniques that should only be undertaken by a trained ISA-certified arborist. Tree removal should always be the last resort. 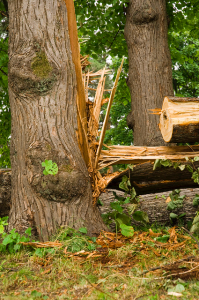 Removing trees can be dangerous and even reduce the value of your property. Make sure that if you decide to remove your tree, you hire a certified arborist who can get the job done safely without affecting any trees or property surrounding the tree. 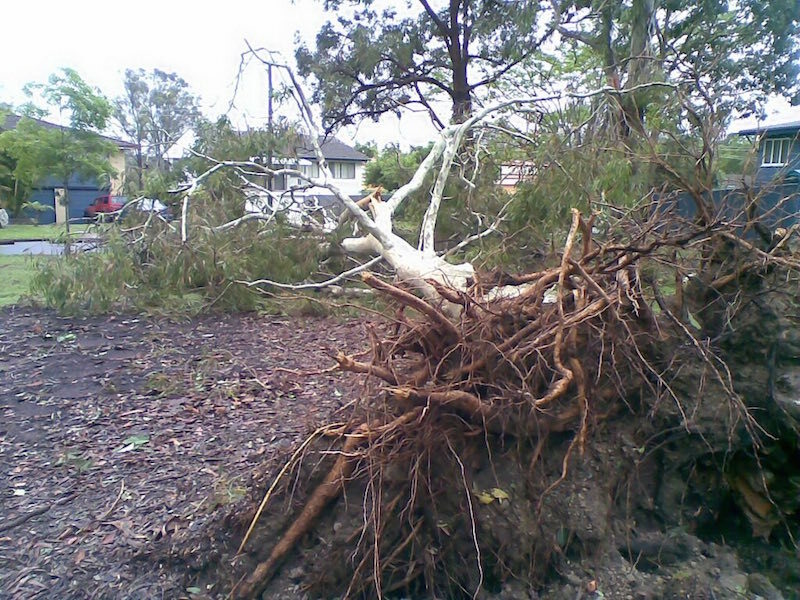 Have you ever had experiences of hazardous branches or trees falling on your property? Please tell us about your experience in the comments section. Wikipedia – What Is a Canker? Beautiful trees can add a lot to the value and look of your property. On the same token, trees that aren’t well cared for can detract from the value of your property and actually create a risk for property damage and personal injury. When you choose an arborist you’re making an investment in the entire value and safety of you and your property. There are many tree trimming services out there, with many different prices and business models. What’s the difference between all of them and what makes one better than the other? This article will outline what it means to be a Certified Arborist and why you should always hire a Certified Arborist for all of your tree care needs. A Certified Arborist is a Tree Care Professional who is certified by the International Society of Arboriculture (The ISA). What Does It Take To Become a Certified Arborist? The ISA is an organization formed to ensure that arborists are adhering to the most recent and strict tree care and safety methods. This not only ensures the safety of you and your property, but for the worker as well. Becoming a Certified Arborist doesn’t just mean that the professional has passed a test when beginning their career. To be a Certified Arborist one must constantly participate in continuing education. Always learning the most recent tree care methods. Renewing their certification every three years. 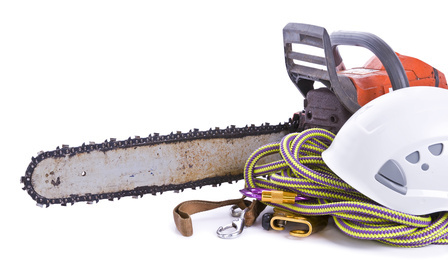 Being a Certified Arborist means that the professional is always keeping up on the latest safety standards and equipment maintenance protocols. Knowing how to properly use and repair their equipment. Ensuring that your trees are cared for properly and that the worker is properly insured and practices safety at all times. 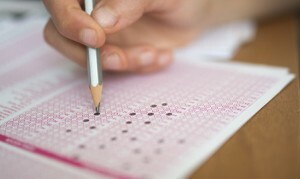 Does Experience Replace ISA Certification? Just because a professional has years of experience trimming trees, it doesn’t mean that they are actually practicing correct tree care methods. Many common historical practices like wound dressing and tree topping are actually quite ineffective and even harmful to trees. Staying up-to-date on tree infections, pests, equipment safety, roping and climbing practices, aerial rescue methods, tree care science, etc. are all crucial aspects of tree care that are constantly changing and being updated. Hiring an ISA Certified Arborist means that you will receive the most current tree care methods available from a professional who knows. 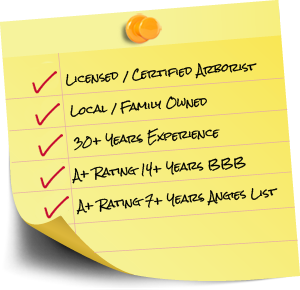 When you hire a Certified Arborist you know you are employing someone who cares about their business. A professional who takes the time to stay certified and always learn more about their craft. 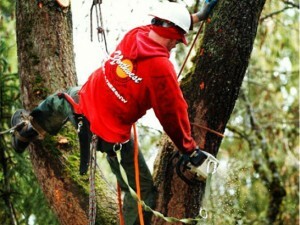 If you are looking for cut-rate bids on tree care services, chances are, you will get cut rate services. Possibly leading to damaged trees and more costs down the road in repairs and maintenance. But when you find a Certified Arborists who takes the time to stay trained and up-to-date. Always maintaining their equipment and certifications. You can rest easy knowing that you are making an investment in the long-term health of your trees. In turn investing in the value and safety of your property. It pays to hire a Certified Arborist. Where Can I Find a Certified Arborist? You can always look directly on the ISA website to find a Certified Arborist in your area, as well as, check on a specific Certified Arborist’s credentials. 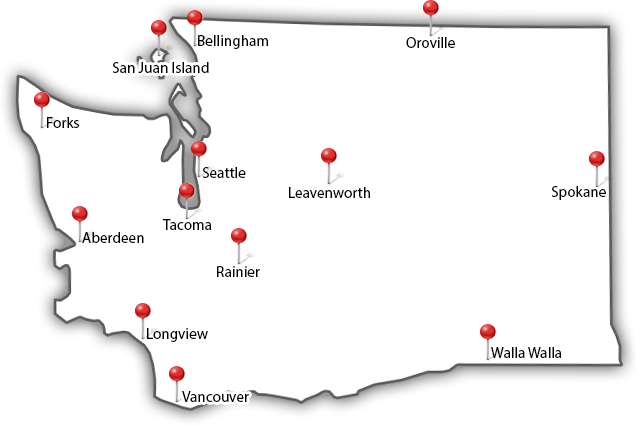 If you live in the Pacific Northwest you can contact Northwest Arbor Culture Inc. for all of your tree care needs. Our professional Certified Arborists have over 30 years of experience caring for trees and provide the highest quality arborist services in the Northwest. Why Is My Tree Dying? There are many factors that can compromise the health of your tree. 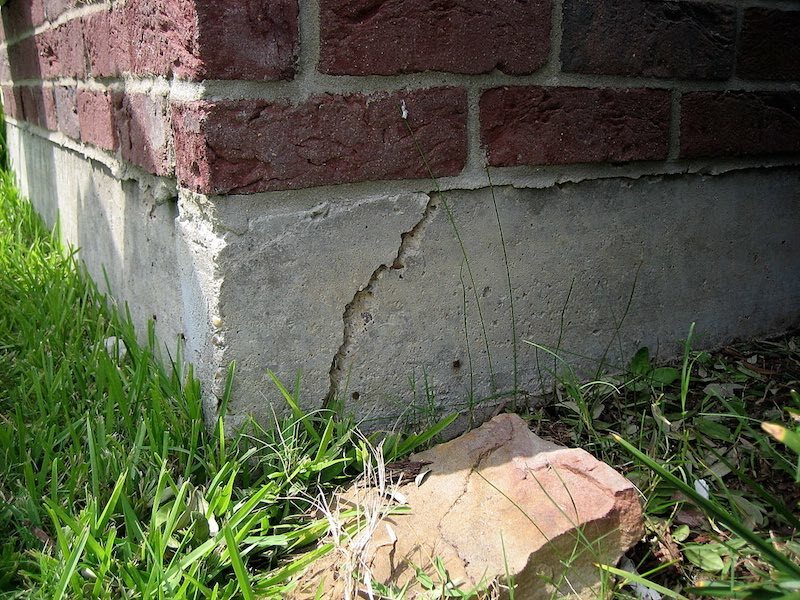 Both man-made and natural forces can easily lead to the damage and even death of your landscape. 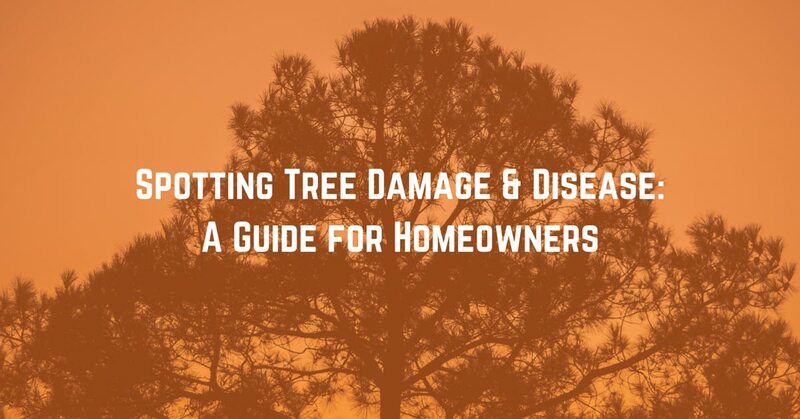 Not only do dying trees create an eyesore in your yard and devalue your property, but they can also pose a threat to the safety of you and your home. So, how do you know if your tree is dying and what should you do if it is already dead? This article will describe the symptoms of dead and dying trees and the steps you can take when you know your tree is dead. Several simple signs will generally tell you that your tree is dying or already dead. If you notice that a tree is losing leaves or needles at an incredible rate or that it now has no foliage whatsoever, your tree is most likely dying. Rapid discoloration of foliage is usually the first sign of stress and can ultimately lead to the end of a tree’s life. Often times the texture and health of tree bark can also be an indicator of the overall health of the tree. The loss of bark or dryness and brittle bark can be a sign of declining tree health. If a tree is dying and rotting, you can often feel the tree trunk turning spongy and weakening from the inside. Sudden limb failure, limb cracking and excess foliage loss can also indicate that your tree is near its’ end. But how can you prevent a tree from dying? While the signs of tree death and disease are generally seen above ground, the root of the problem usually starts below ground with the roots and soil. Here are some of the common reasons why trees die and ways that you can avoid killing your tree. Lack of Water or Too Much Water – Often times we associate the death of tree with the lack of water. 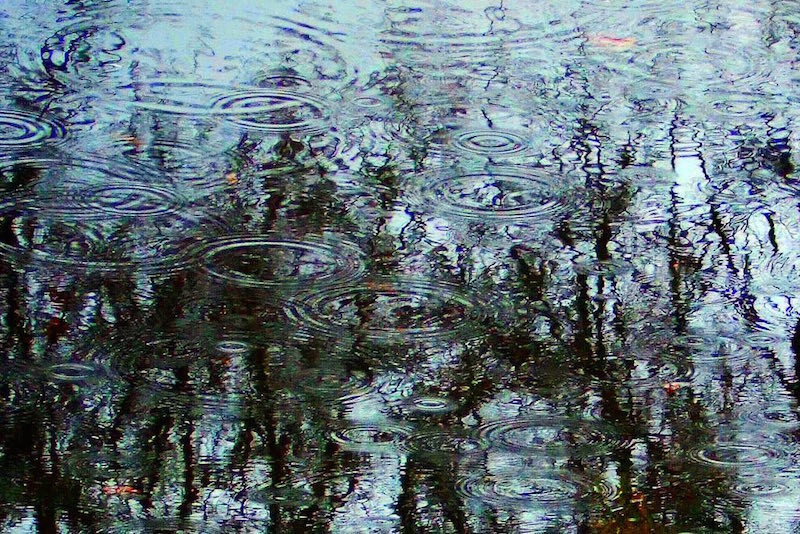 But as sensitive as trees are to too little water, too much water can pose just as large of a threat. Make sure to water your trees correctly based upon their species as well as your overall climate. Contact your local Certified Arborist if you have any questions about how much to water your trees. Changing the Soil Grade – We’re not talking about flunking your tree out of class. When you add or take away soil from the area above your trees roots, you greatly impact the flow of water and nutrients to the tree. The primary feeding roots in trees are often found in the top six inches of the soil, so even changing the level of soil around your tree by four to six inches can cause severe stress in your trees and lead to death. Compacting Soil – Driving cars and heavy machinery on the soil that covers tree roots can quickly kill a tree. Compacted soil doesn’t allow for water and oxygen to circulate through the dirt. Depriving the tree of oxygen and other nutrients in the soil. Girdling Roots – Often times when tree is grown in a nursery the roots are trimmed to create a compact root ball that makes transplanting easy. Yet, this trimming can often lead to roots twisting around themselves and strangling the tree as the roots tighten and grow. Look for ‘pot bound’ or tightly packed roots before you purchase and plant a nursery tree. Improper Transplanting – When you transplant a tree there are many things that can go wrong. One common mistake is digging too small or too deep of a hole. This impedes root growth and can choke the tree. A tree should be planted in a hole no deeper than and at least three times the diameter of the root ball. Another mistake is packing the soil within the hole, as well as, on top of the newly planted tree. Make sure to loosen or scrape the soil on the edges and bottom of the hole. Don’t pack down ‘back-fill’ soil you use to plant the tree. Packed soil will deprive the lower roots from receiving water and oxygen and stunt or kill your tree. Lastly, when you transplant your tree pay close attention to the root ball. Always remove and unwrap any burlap and twine that may be tied to the tree. Help the roots spread by gently loosening and separating the root ball before planting the tree. What Do I Do If My Tree Is Dead? Many times, when you see the signs of a dying tree it may be too late to salvage. If your trees are dead and dying you have several options left to help keep you and your home safe and beautiful. Cabling – If a tree is old, sick, or just unstable, you can mount stabilizing metal cables and braces to the tree. This can stop a tree from splitting or falling over during the rest of its’ life. 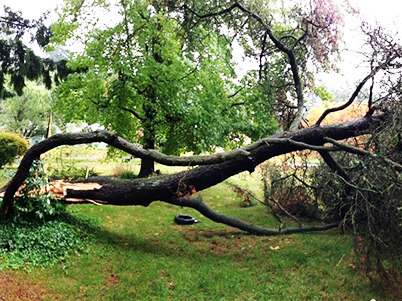 Tree Removal – If a tree is dead it can quickly become a falling hazard. 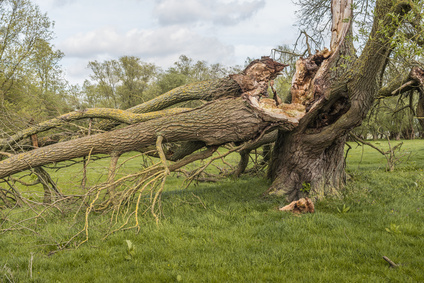 Removing a dead tree can keep you and your home safe before any heavy winds or natural forces like gravity send the tree toppling to the ground. In an earlier blog post we discussed the dangers of DIY tree removal. Make sure to play it safe and call a professional Certified Arborist for all your tree removal needs. 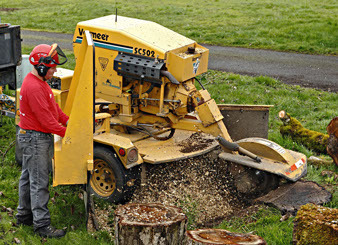 Stump Grinding – Once you cut down a tree you can remove the stump to get rid of that ugly reminder of your fallen tree. Northwest Arbor Culture Inc. offers stump grinding services that safely and effectively remove your stump. 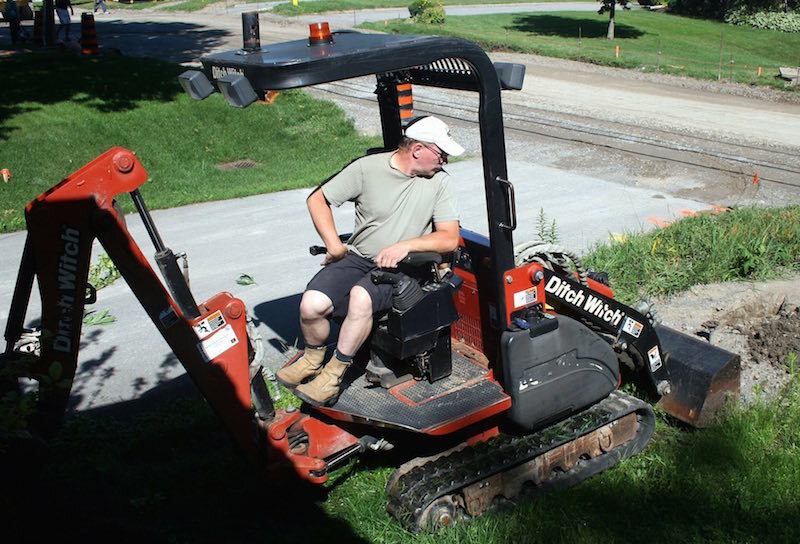 Allowing you to have an open yard and reuse the chipped wood for garden and tree mulch. 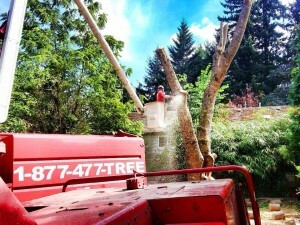 The professionals at Northwest Arbor Culture Inc. offer tree bracing, cabling, large tree removal, and stump grinding services across the Pacific Northwest. We are known for providing quality services at a fair price and have over 30 years of landscaping and tree care experience. 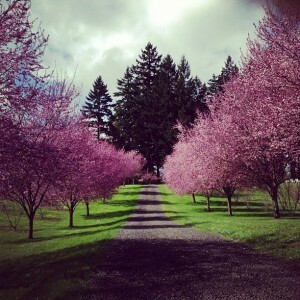 Contact us or give us a call today at (503) 538-8733 for all of your tree care needs. Have you had a dead or dying tree in your yard? Tell us how you dealt with your tree in the comments section below.